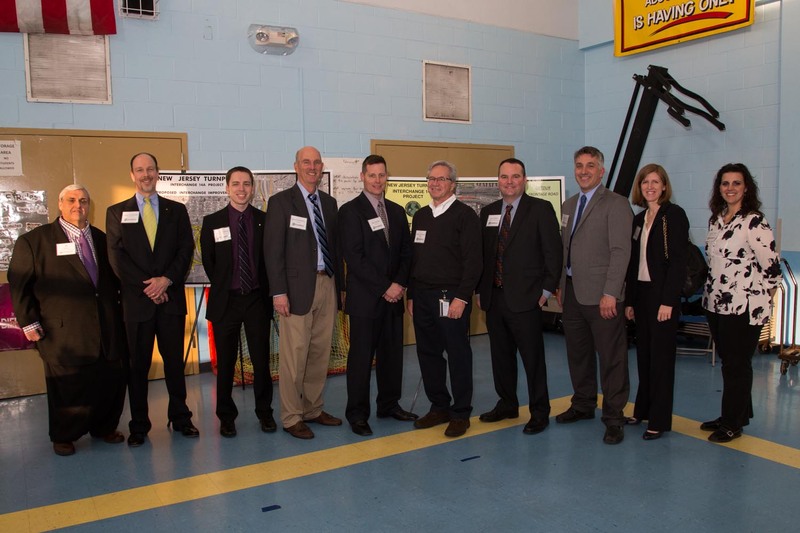 Proud construction crew members pose for a photo with the banner and project boards. 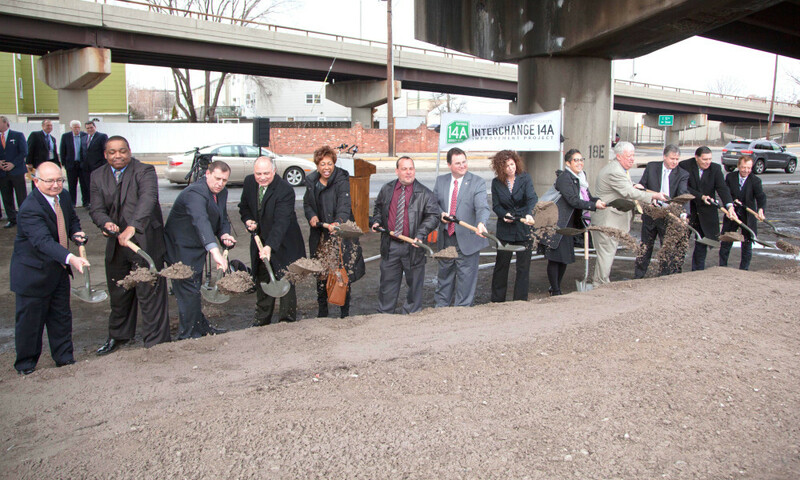 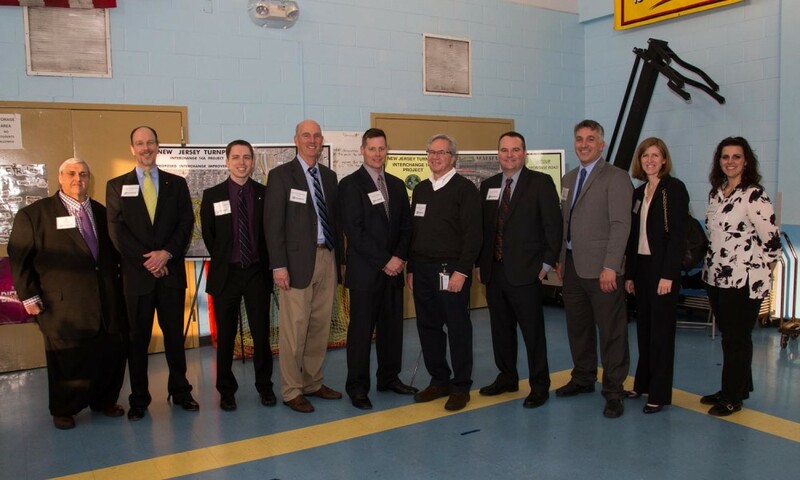 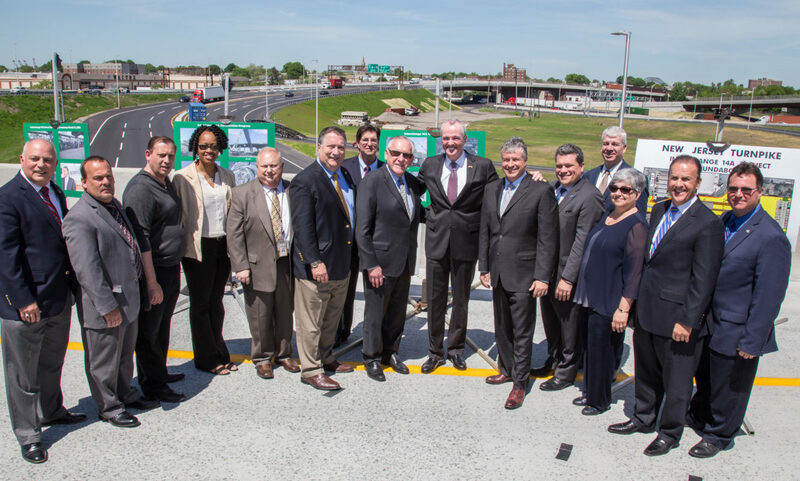 Members from the NJTA and AECOM pose for a photo to celebrate their hard work. 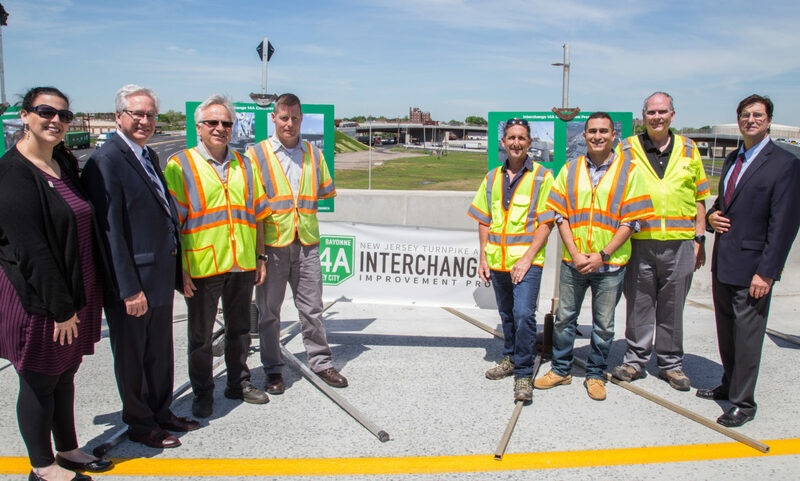 Many construction crew members came out to celebrate the completion of the project. 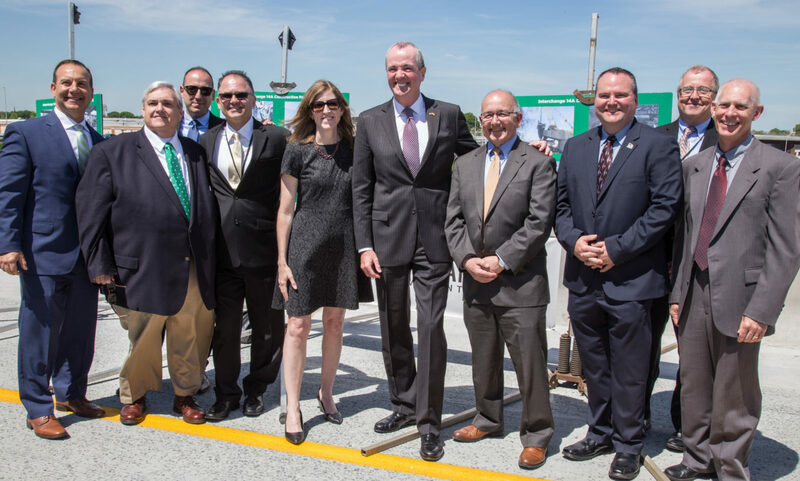 Governor Murphy poses with many crew members at the event. 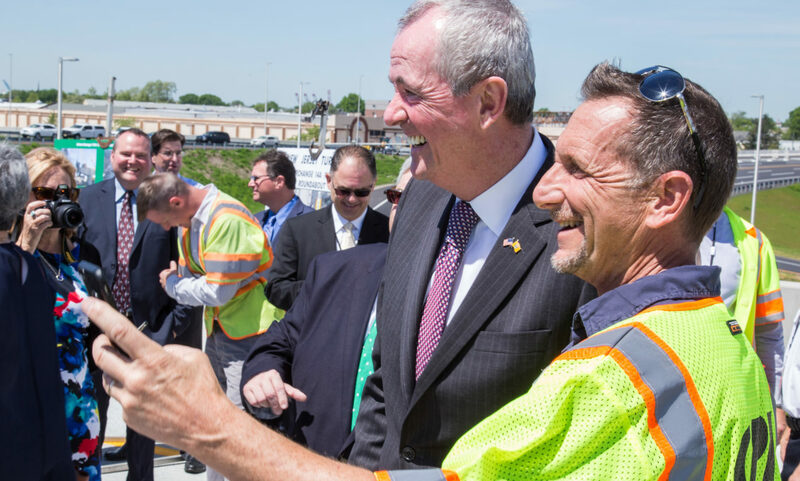 Ken Reese of GPI jumps in for a selfie with Governor Murphy. 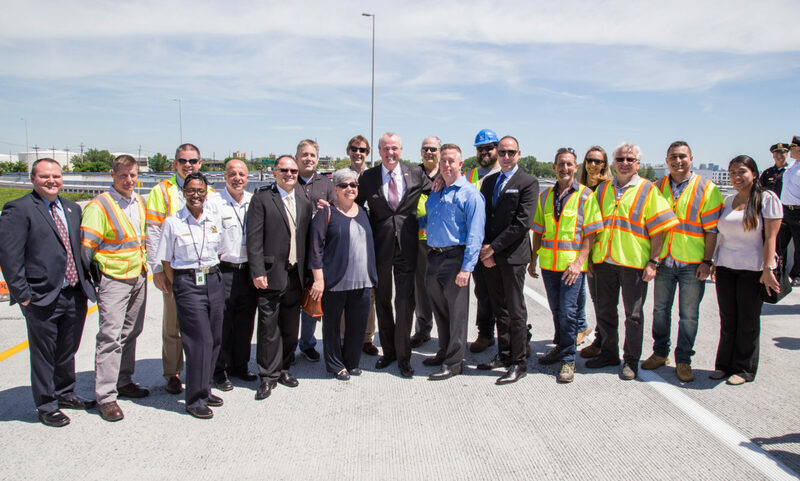 Governor Murphy poses for photos with project team members. 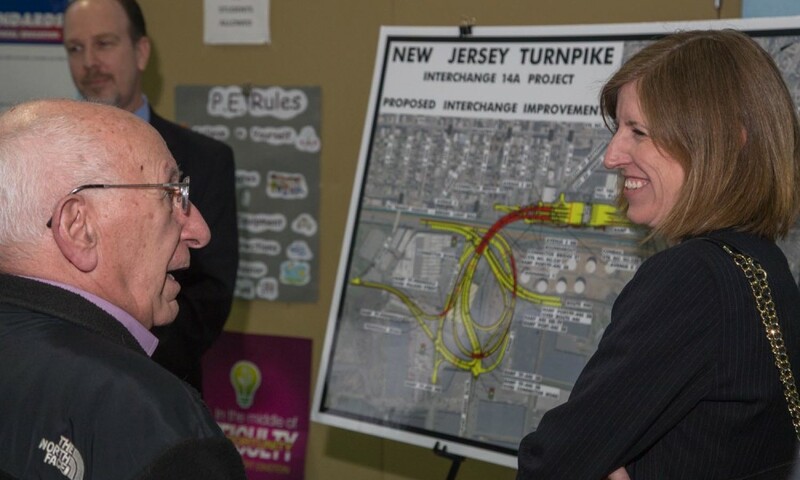 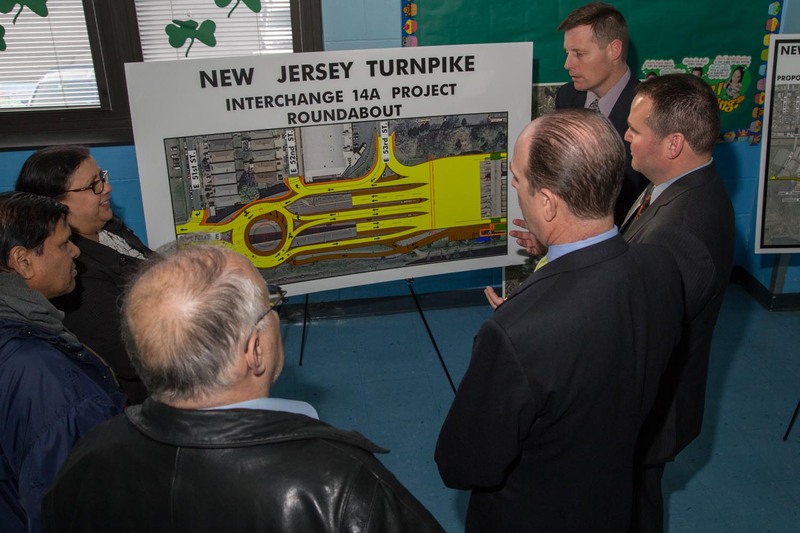 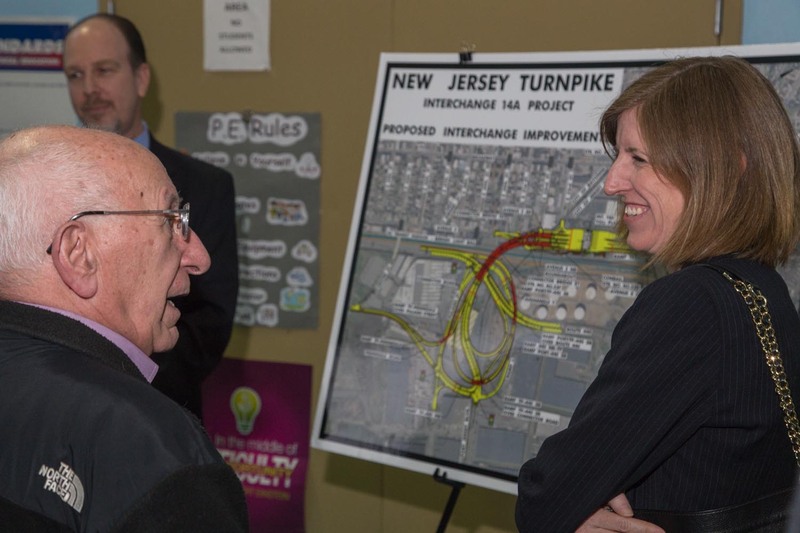 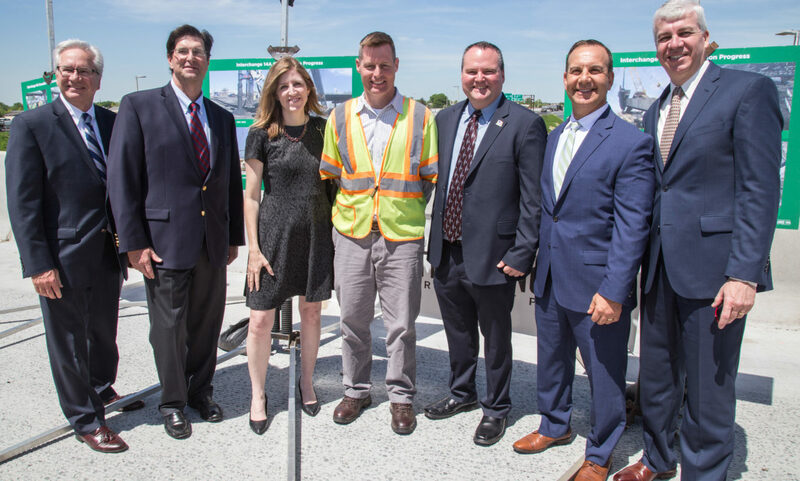 Governor Murphy poses for photos with members of the New Jersey Turnpike Authority. 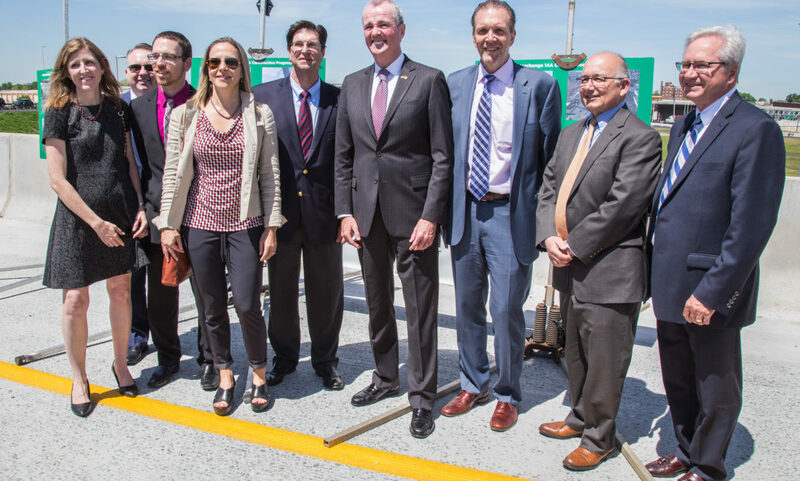 Governor Murphy poses for photos with esteemed guests. 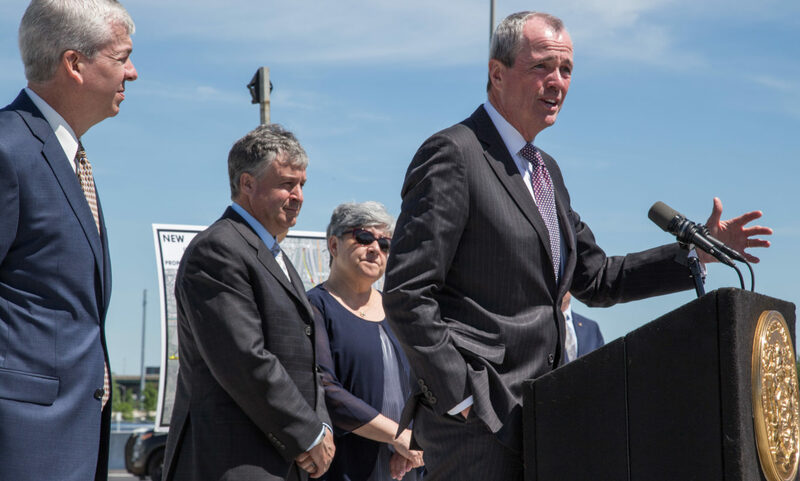 Governor Murphy speaks to the crowd. 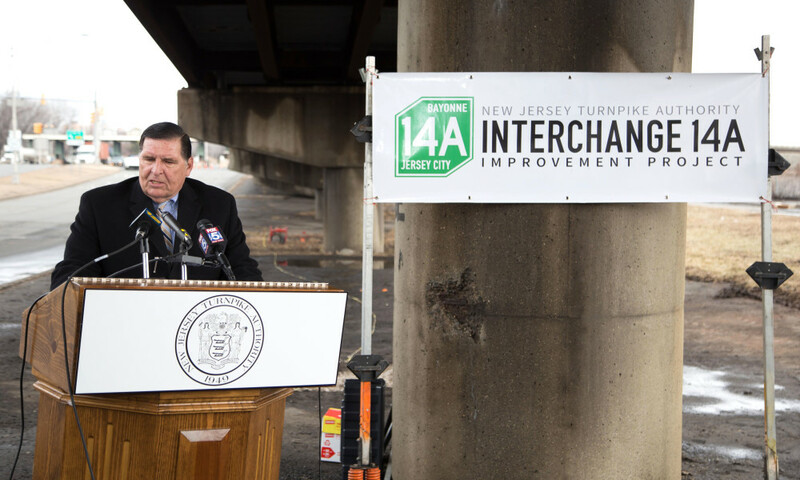 John Keller (NJTA Executive Director) speaking to the crowd. 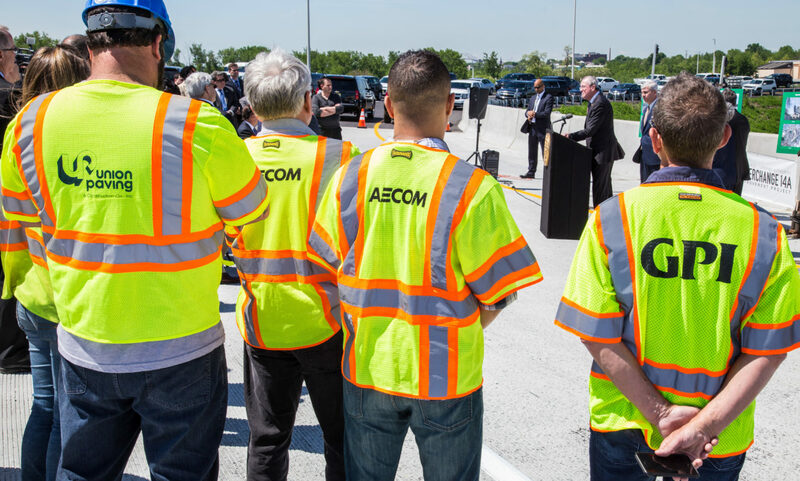 Construction crew members listen to the Governor's heartfelt remarks. 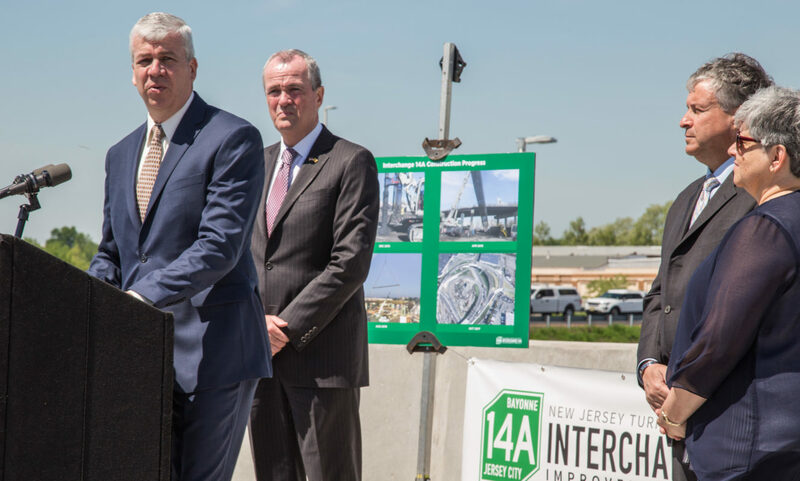 Governor Murphy celebrates the success of the project. 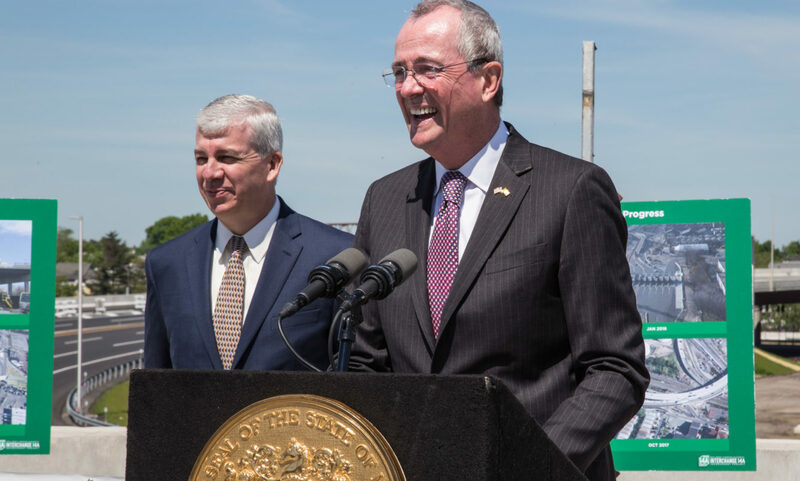 Bayonne Mayor Jimmy Davis welcomes Governor Murphy to the podium. 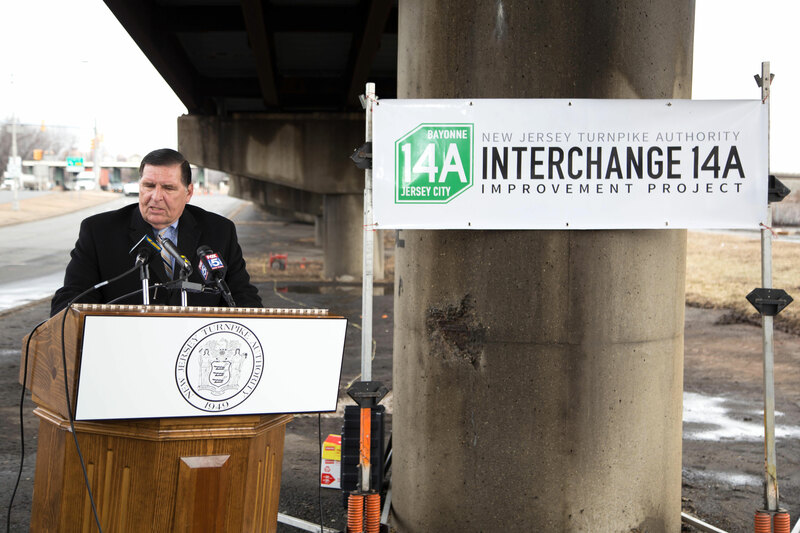 Mayor Jimmy Davis speaks about the success of the project. 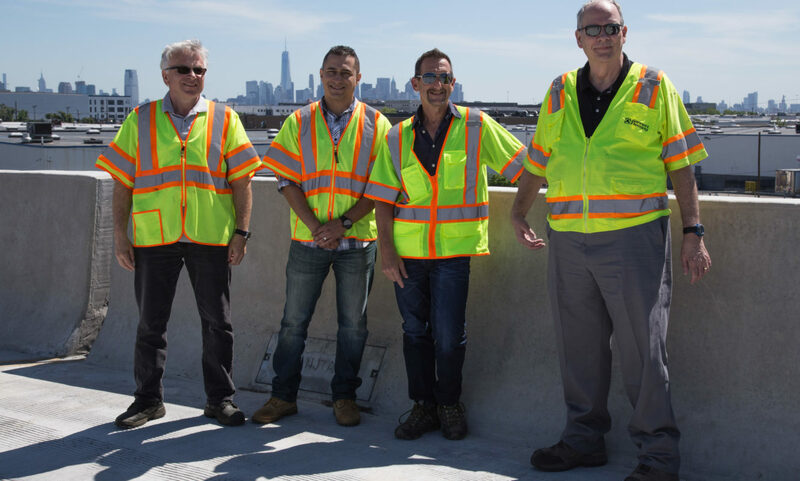 Construction crew members from AECOM, Gannett Fleming and GPI pose for a photo. 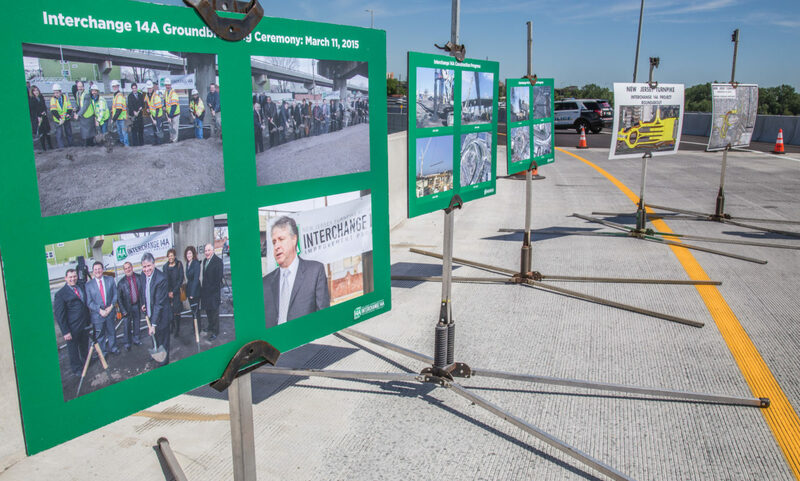 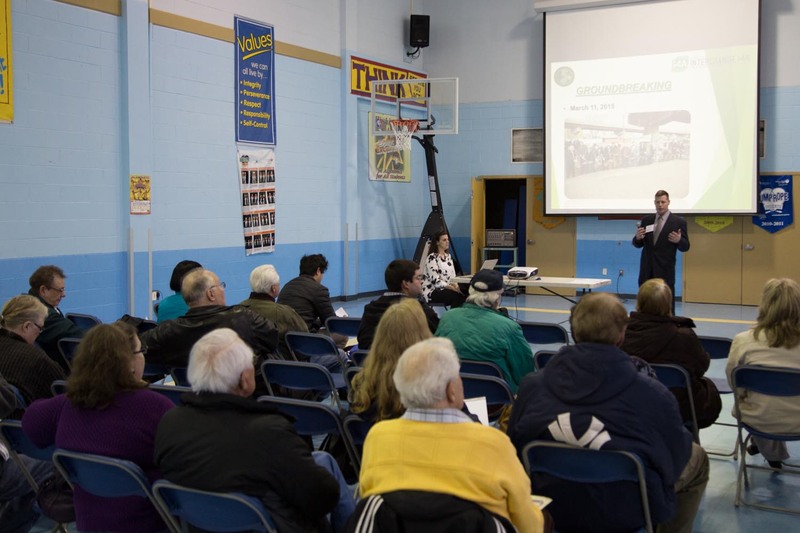 The project boards on site demonstrated photos of the construction from the groundbreaking in March 2015, to present day. 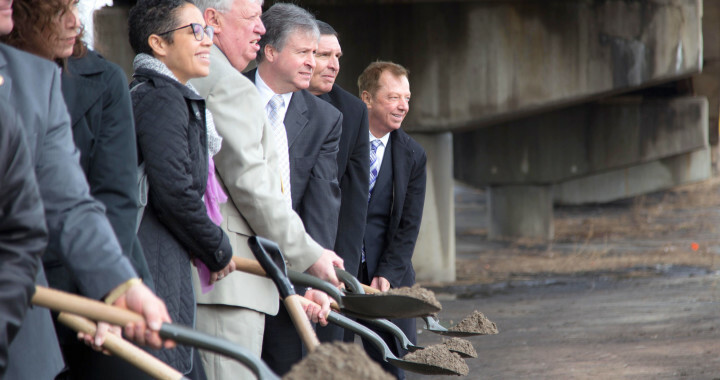 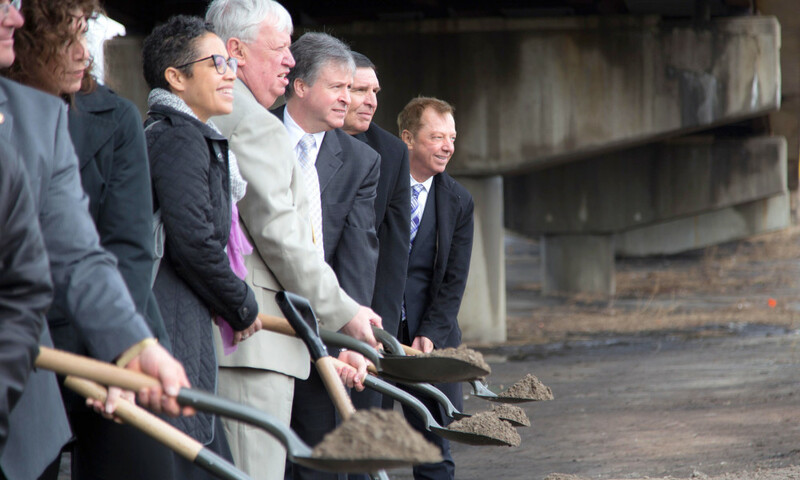 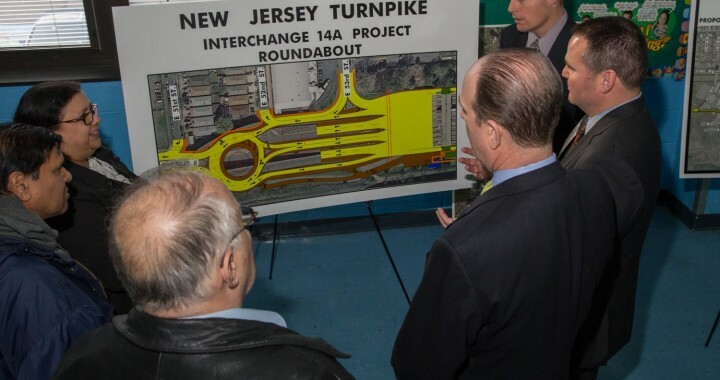 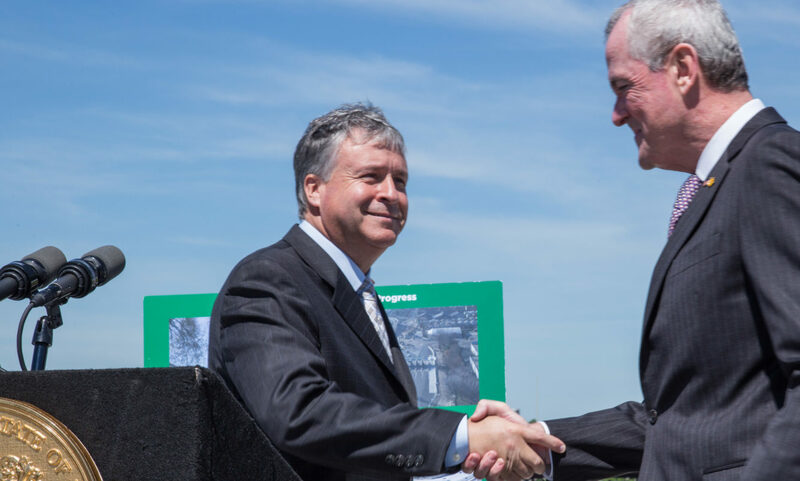 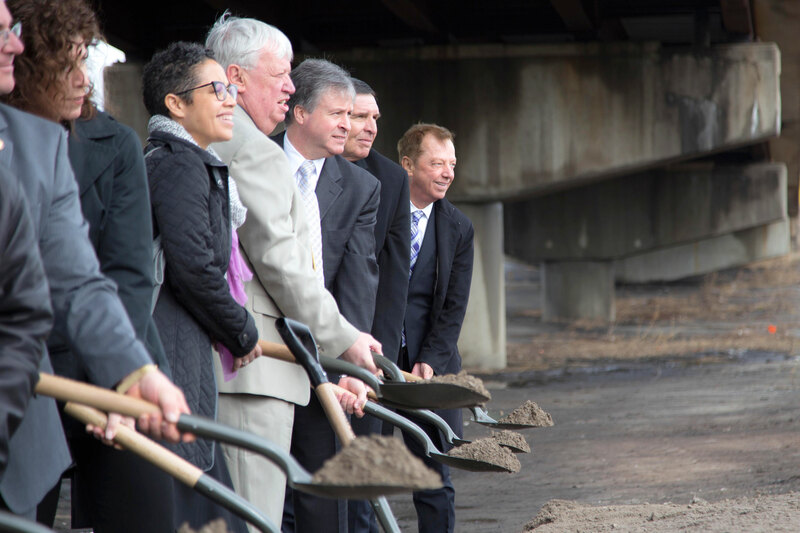 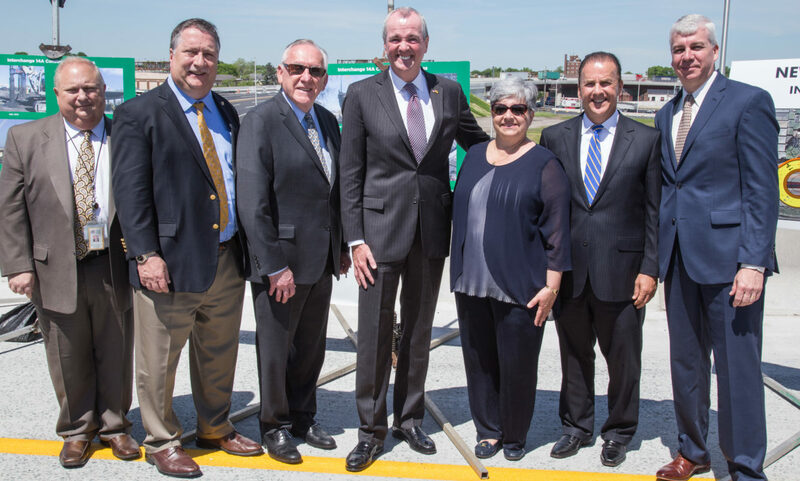 New Jersey Turnpike Authority officials were joined by Governor Phil Murphy, Bayonne Mayor Jimmy Davis, Turnpike Authority Executive Director John Keller, Acting Transportation Commissioner Gutierrez-Scaccetti and many other leaders, construction crew members and press on one of the new ramps on May 21, 2018, for a ceremony to mark the completion of construction on the Interchange 14A Improvement Project. 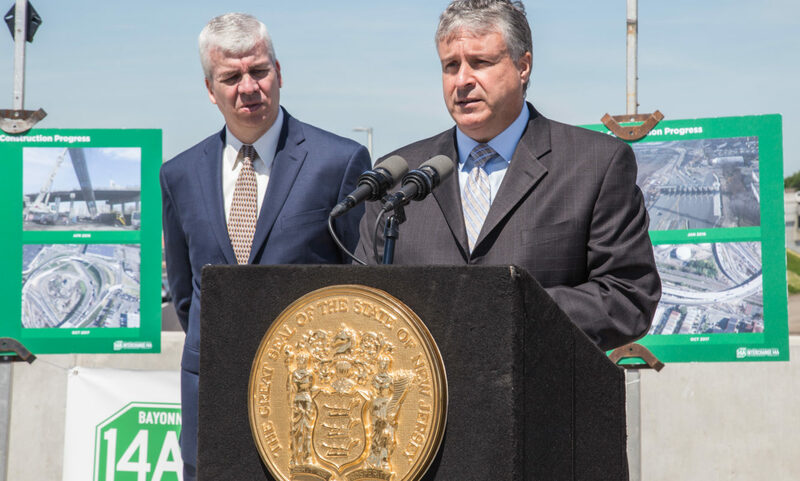 Please CLICK HERE to read the full release. 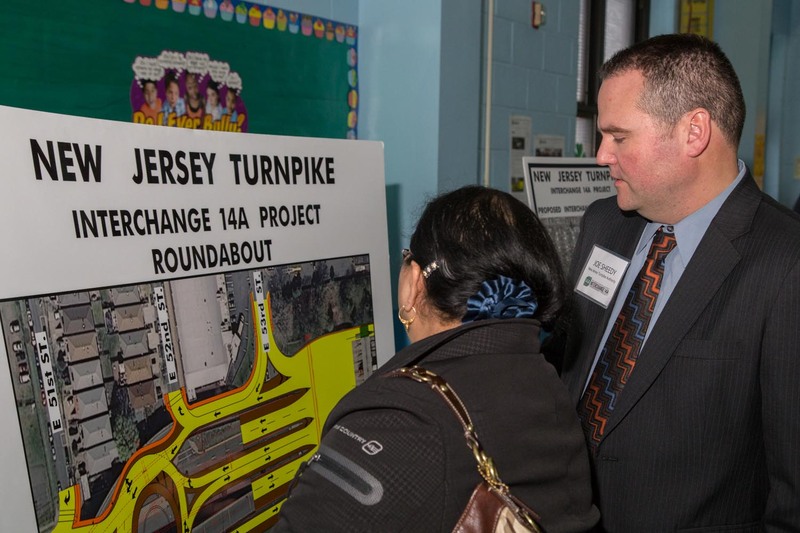 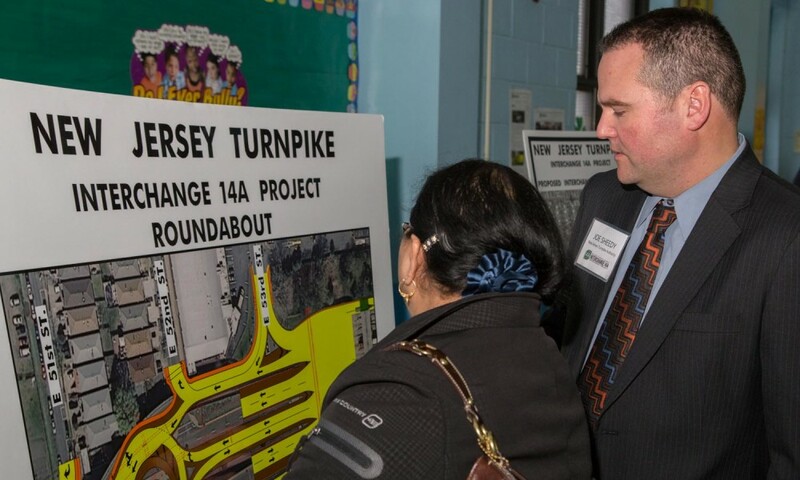 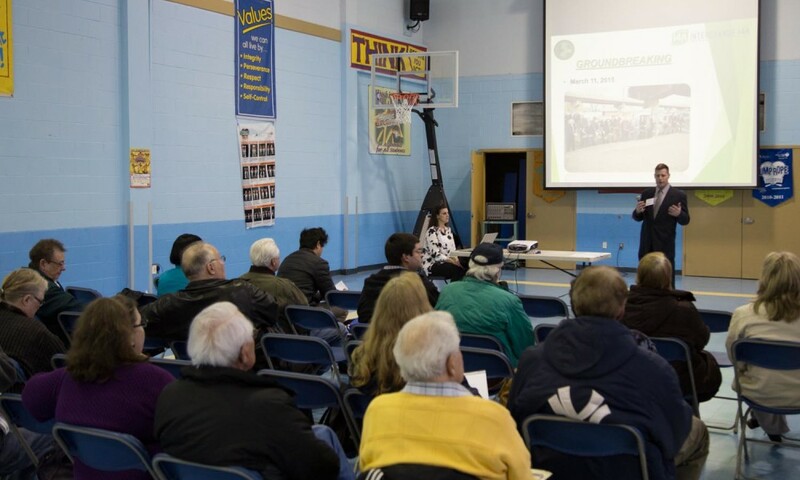 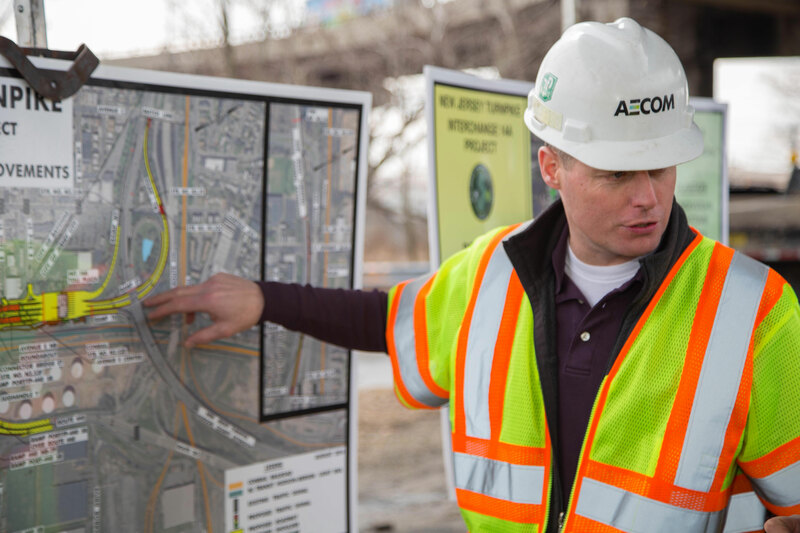 Jersey City (Jersey Avenue – Interchange 14C) – *New Traffic Pattern scheduled* See https://njta14c.com/traffic-advisories/ for upcoming traffic advisories. 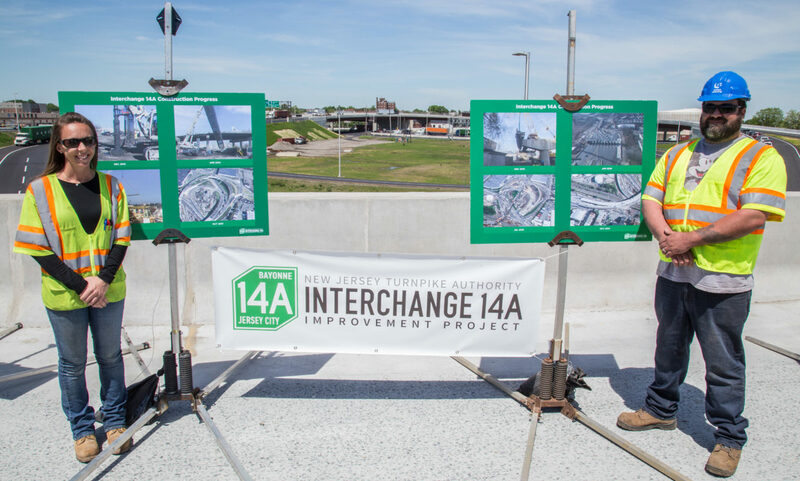 Westbound: Jersey Avenue – Interchange 14C: Traffic will be reduced to one lane from 7P Saturday to 8A Sunday. 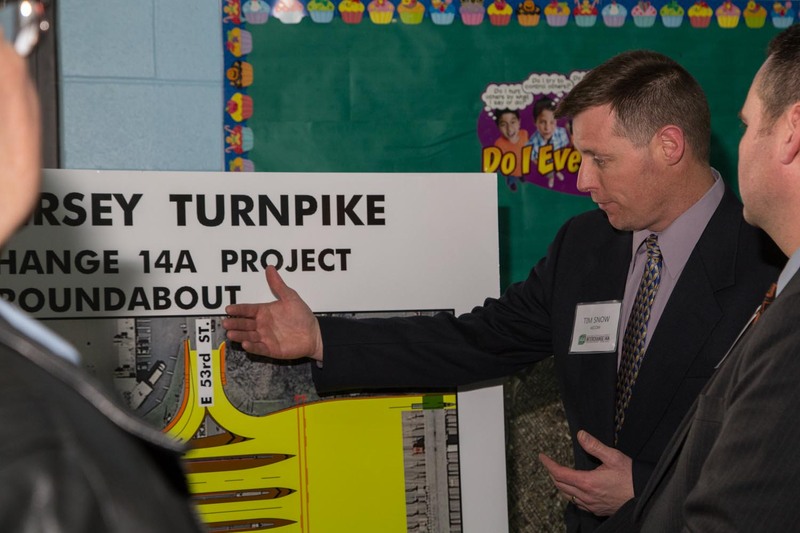 During this time the Merseles Street on-ramp to the Turnpike/I78 will be closed with a detour provided. 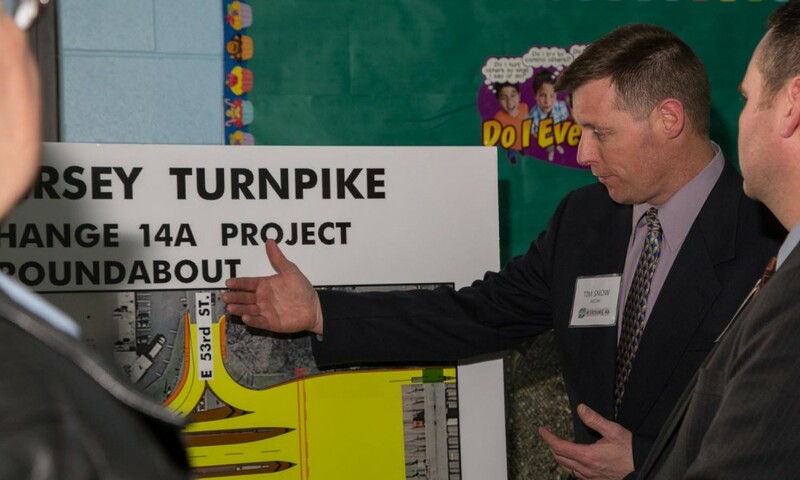 *New Traffic Pattern* Following this closing, at 8A Sunday, traffic on the westbound Turnpike will be shifted onto the right lane and shoulder for approximately two years. 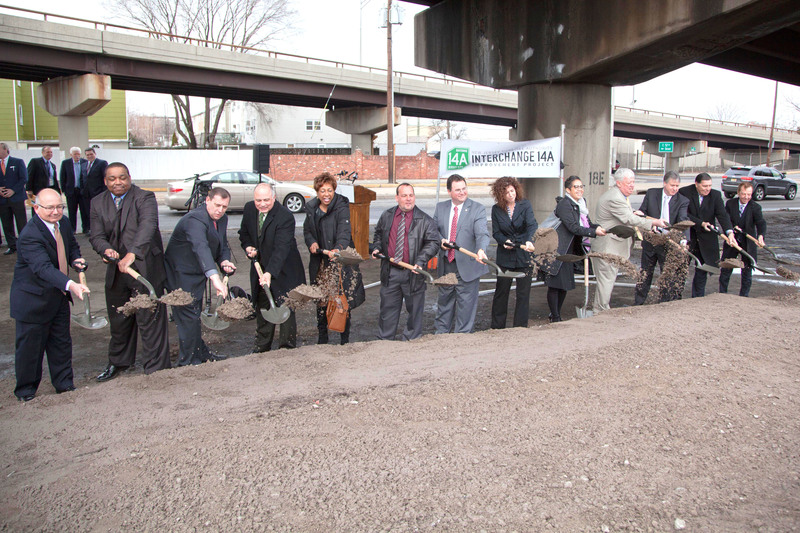 This shift is necessary to support the eastbound bridge redecking project in the same area. 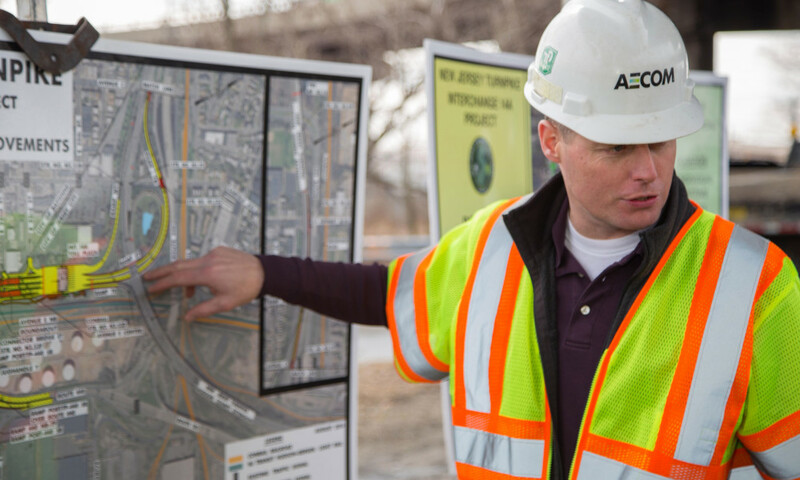 This work has been coordinated with Pulaski Skyway and Rt. 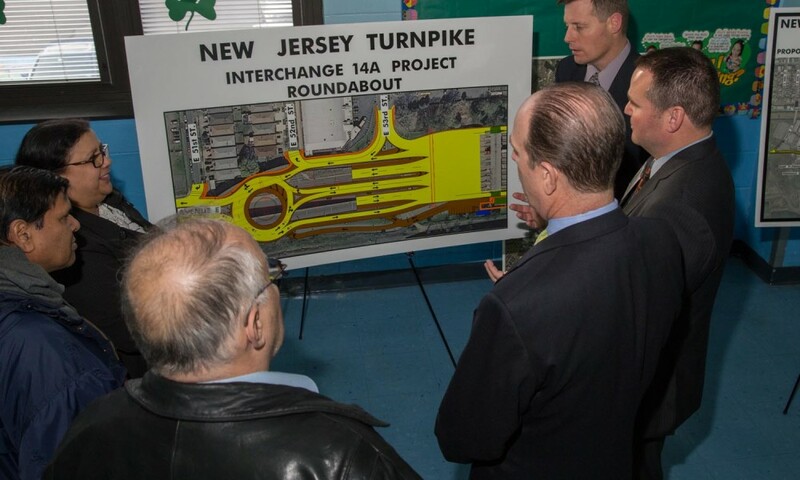 139.